Oola was a Twi’lek (one of the first seen in Star Wars) who debuted in the third original trilogy Star Wars film, Return of the Jedi. Oola was a slave in Jabba the Hutt’s palace who was forced to dance for him around the time of Han Solo’s rescue. In the 1990’s when the Special Edition of Return of the Jedi was in the works the actress who played Oola, Femi Taylor, returned to shoot additional scenes in the rancor pit. Taylor revealed in an interview with TheForce.net that Oola was originally supposed to escape Jabba’s Palace – and it’s shame she didn’t as she is one of the few female characters in both Return of the Jedi and the entire original trilogy. 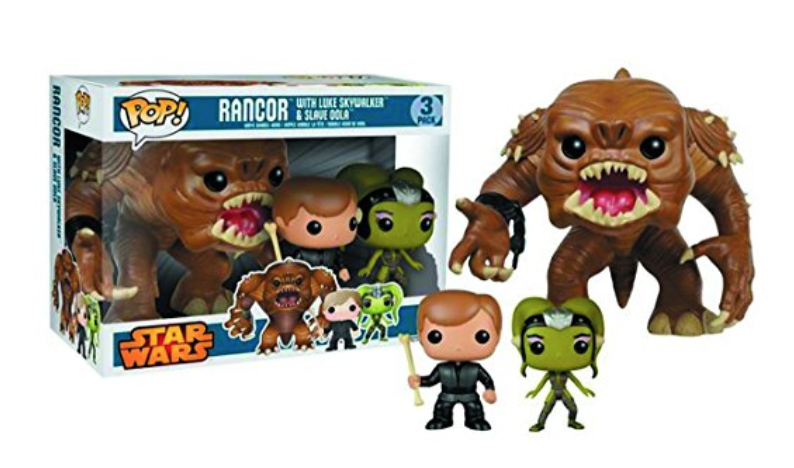 If you’re looking for an Oola toy for your collection you can find her in this amazing Funko three pack with Luke Skywalker and the Rancor. You can learn more about Oola in the Star Wars Character Encyclopedia, Star Wars: Absolutely Everything You Need to Know, and her page on Wookieepedia.